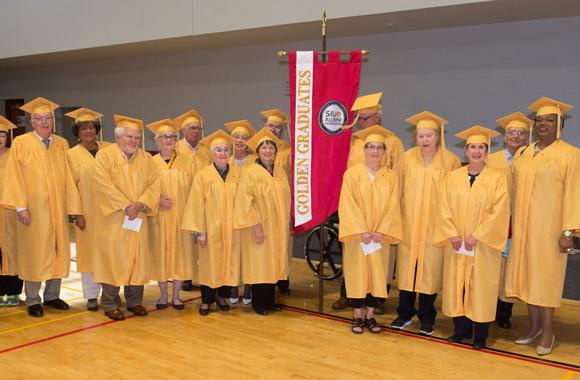 Donning gold regalia, members of the SIUE Class of 1967 were invited to campus to participate in a special Golden Graduate reunion. The distinguished guests received a commemorative medallion Saturday, May 6, as they walked across the stage during the final spring 2017 commencement ceremony. It was a meaningful and reminiscent weekend, hosted by the SIUE Alumni Association.